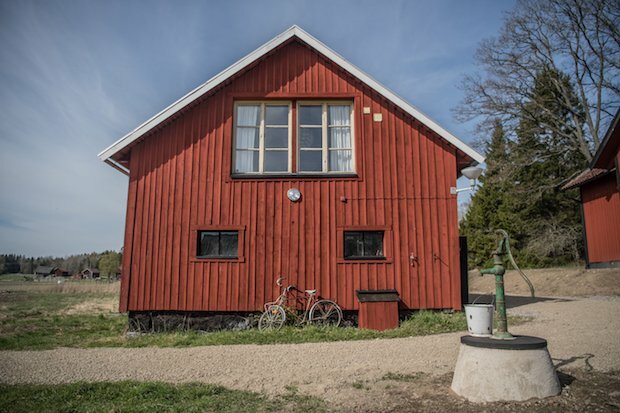 Main Cottage, Barn, Garage, Guesthouse, Workshop.. What More Can You Ask For? 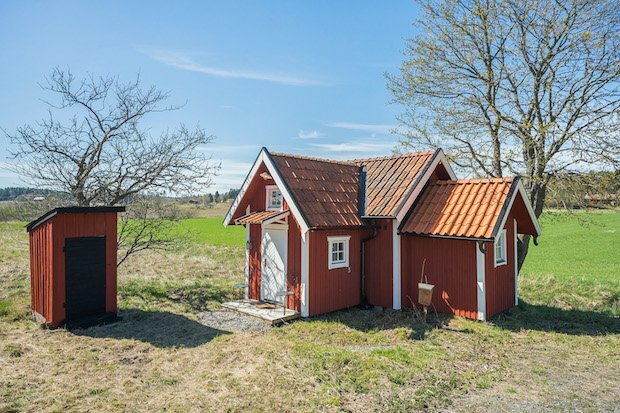 There is something special about this little red farmhouse and it makes us want to move to the Swedish countryside! 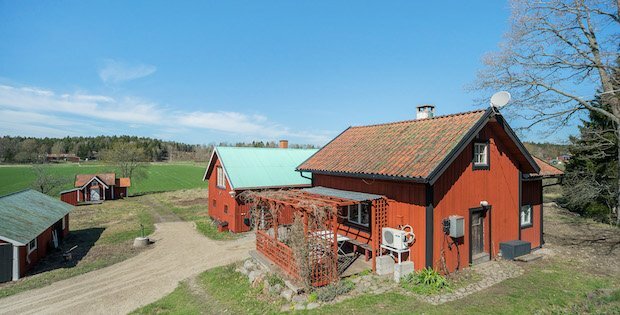 Located in the town of Trollsta, about 30 miles from Stockholm, this home comes with other external buildings that caters to your every need. 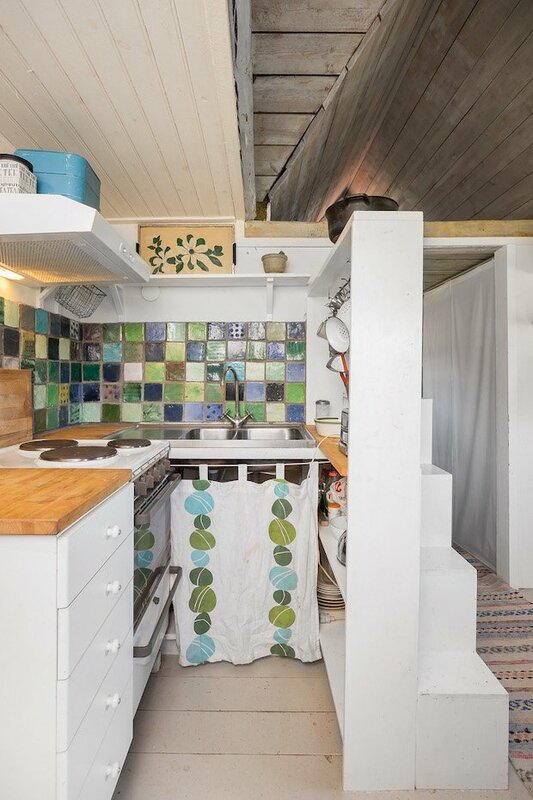 The 2-bedroom 1-bathroom home is about 748 sq. feet and stands on a 1.5 acre parcel. 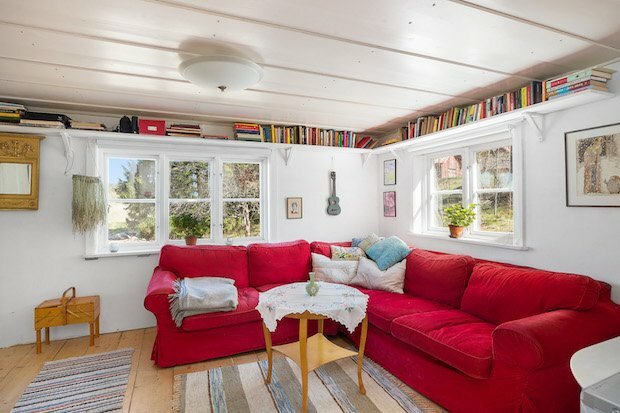 There is an open patio that looks out to a lovely meadow. Airy kitchen windows and Euro shabby chic furnishings complete the look of this cozy home. 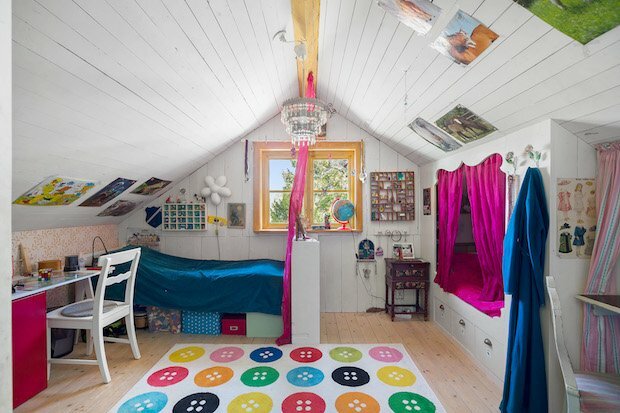 There is also a 182 square ft. guest cottage with a loft bed that is just as stylish, perfect for when you have friends and family coming over. 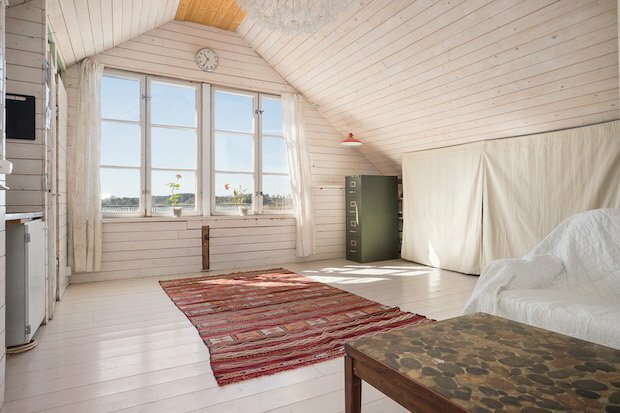 The adjacent furnished barn contains a spacious garage, a carpentry workshop, a studio room with bathroom, the large room with its lovely ceiling height, the exposed roof beams and the walled fireplace.